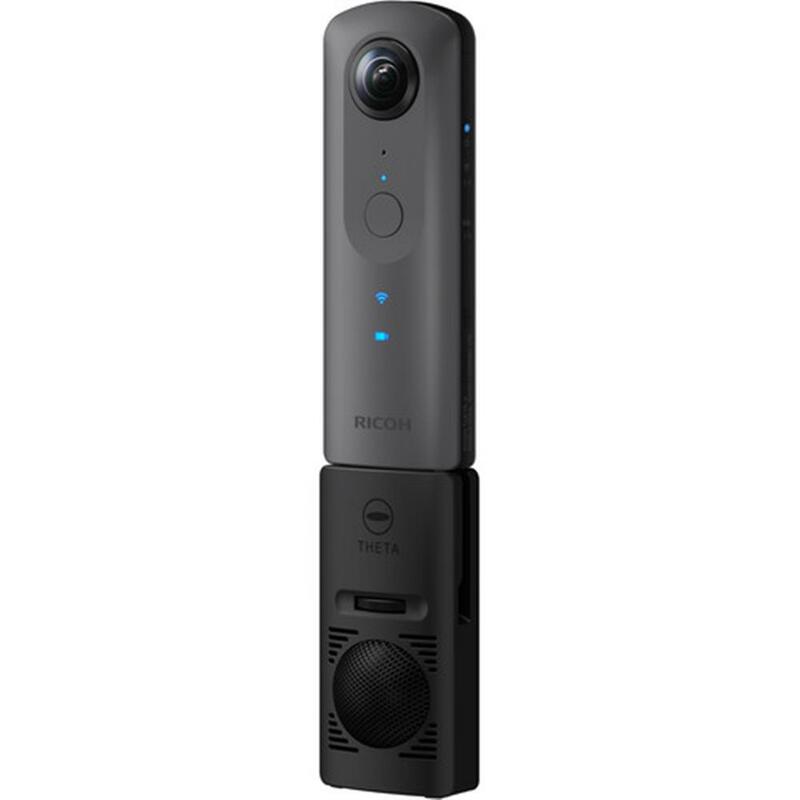 This is a 3D microphone for exclusive use with the RICOH THETA V, for recording natural, balanced audio that faithfully reproduces the environment without any exaggeration or colouring. 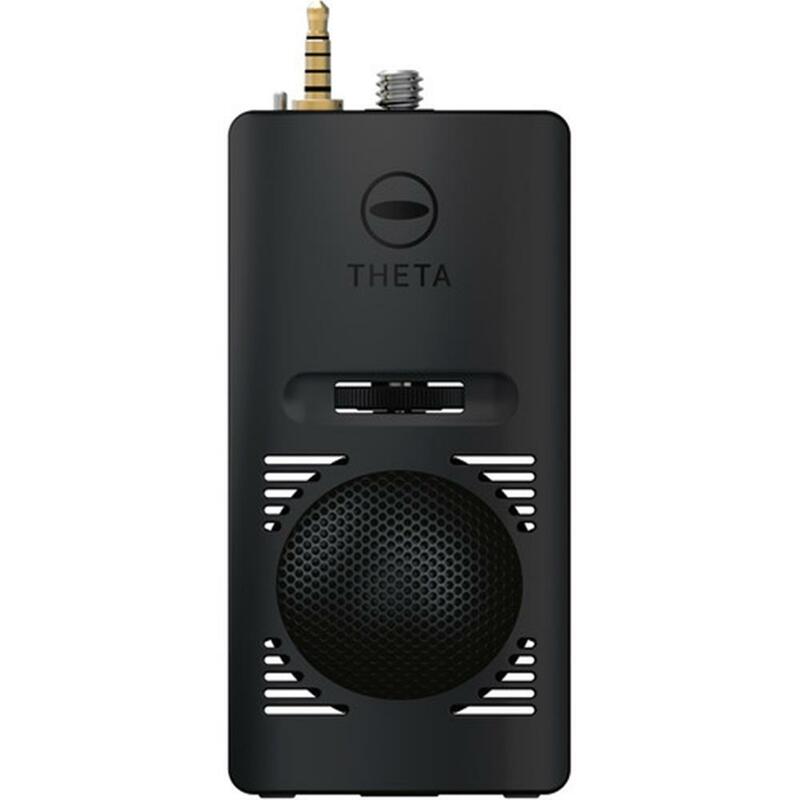 The included microphone unit was developed by Audio-Technica, which is praised for its superb technical abilities. 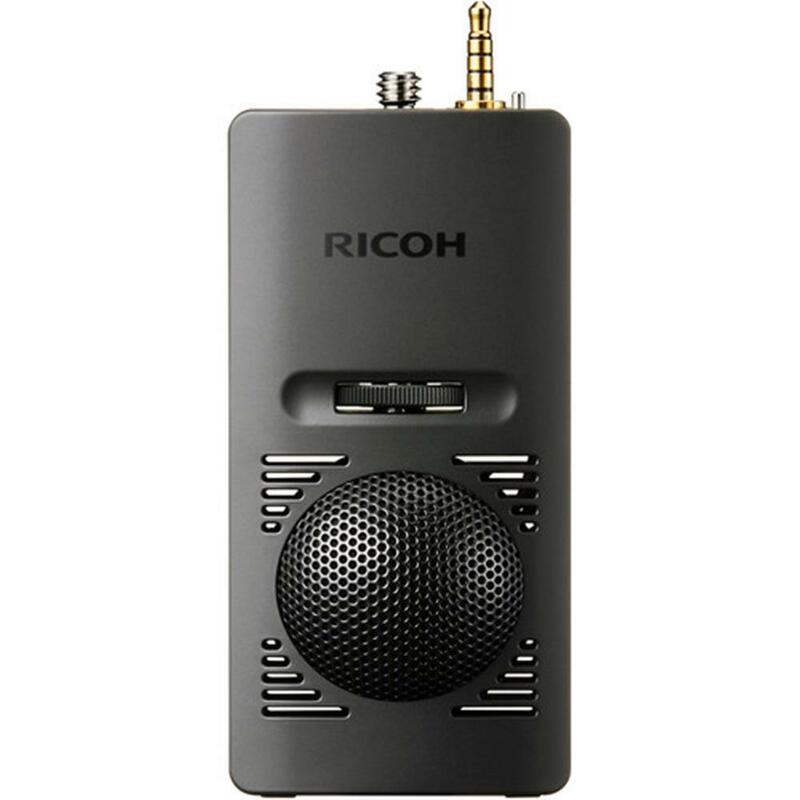 Compared to the built-in microphone, a larger diameter, approx. 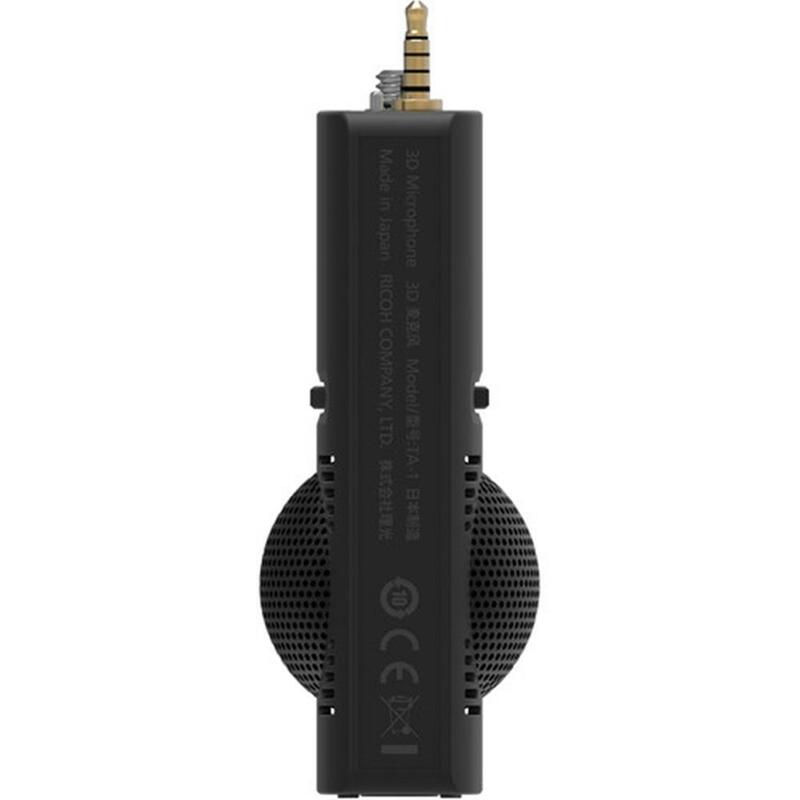 10 mm microphone is used for recording natural sounds with a great deal of information across the entire range, from lows to highs. 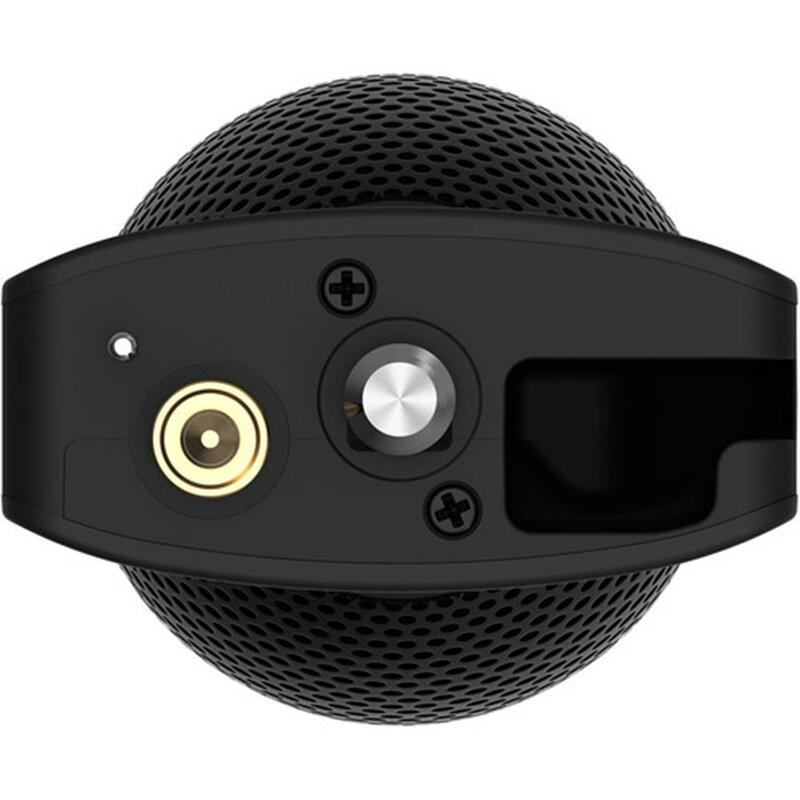 Because you can record robust sounds in the mid range, this microphone is perfect for shooting musical performances. 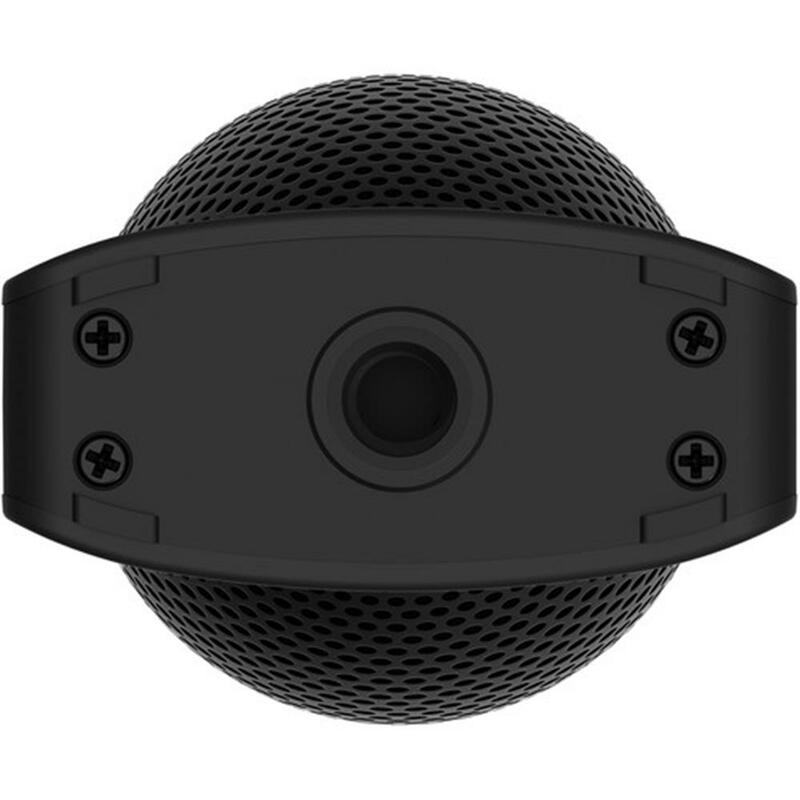 Also, by making the microphone acoustically unidirectional, it features smooth sound field changes when moving from one point to another. Attaching the included wind screen helps block noise caused by wind when recording outside for more stable outdoor recording.